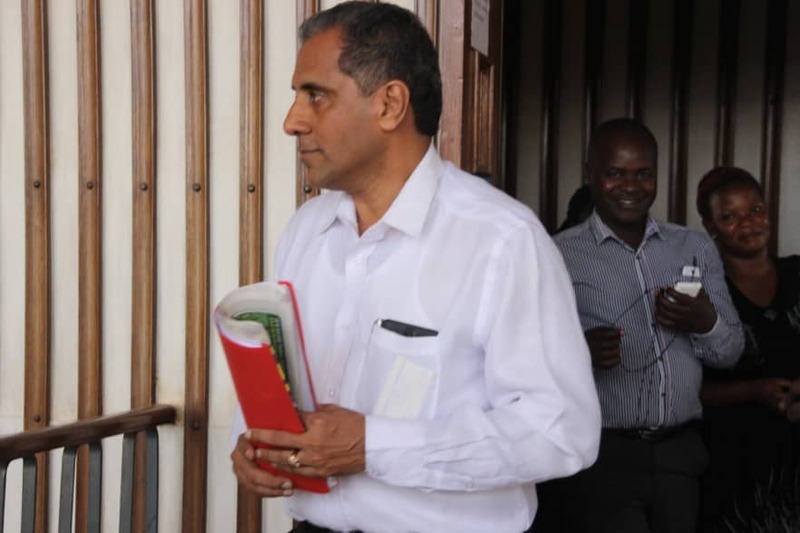 KAMPALA– The Chief Executive Director of Shumuk Aluminum Industries Mukesh Babubhai has been charged before Buganda Road with 13 counts of forgery, uttering forged documents and conspiracy to commit a felony. He appeared before grade one magistrate Ms Stella Amabilisi to have his charges official read to him. However, he denied all charges against him. After the court hearing, Shumuk was granted a cash bail of sh3m. The magistrate ordered Shumuk’s three sureties to execute a bond of Shs10m. She also retained Shumuk’s passport and ordered him to bring his original national identity card in court tomorrow. Prosecution claims that Shumuk committed the offences on April 17, 2015 in Kampala when he forged 6 letters for official handover of hotel Diplomat at Muyenga purporting to have been signed by late Boney Katatumba, Boney Mwebesa Katatumba(Managing director ) Anne Grace Katatumba(director),Angela Katatumba(daughter), Rugirwa Katatumba(son), Ian Katatumba(son) and Karyegira George William (ASP) officer in charge of security of the chief justice. It is further alleged that after forging the said letters, Shumuk uttered them to Makindye Magistrate court on 16 November 2017 purporting that they were signed by both family members and directors of Hotel Diplomat. The charge sheet indicates that Shumuk and others on April 2015 conspiracy to forge and utter forged letters for the official handover of Hotel Diplomat at Muyenga. Court had that investigations into the case are still ongoing. The case has been adjourned to 26 November.